Canon Digital IXUS 750 digital camera introduction : Canon today announces a new addition to its Digital IXUS range - the Digital IXUS 750. As the Digital IXUS flagship, the Digital IXUS 750 maintains the style and sophistication for which Digital IXUS is renowned. The elegant 'perpetual curve' design returns and is available in two stunning finishes  Silver Grey and Satin Beige. As ever, the functionality behind the new Digital IXUS model is as stunning as the camera itselves. The Canon IXUS 750 camera boast DIGIC II processing, and a massive 2.5" LCD. The Digital IXUS 750 has 7.1 Megapixels and 3x optical zoom. Each Canon Digital IXUS is a statement in style, and the Digital IXUS 750 is no exception. The sleek lines and graceful feel of the Digital IXUS 750's all-metal perpetual curve body embraces IXUS luxury. The Canon Digital 750 features an oversize 2.5" LCD display - while retaining all key controls and preserving sleek and slim body. The large LCD with wide viewing angle makes it easier to view and share images and movies during playback. The big LCD also makes it easier for the user to frame their shot and view menus, and is adjustable to 15 levels of brightness. New slide show functions allow review of images with stylish and contemporary transition effects applied in camera to create impressive slide shows with minimum user effort. Canon IXUS 750 - High quality prints : The Digital IXUS 750 operates with 7.1 Megapixels, which can give detailed A2 prints. The Canon IXUS 750 lens is constructed with 7 elements in 5 groups. 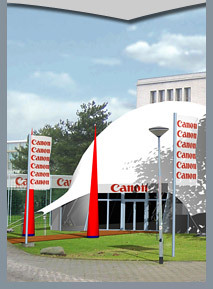 The Canon camera lens includes two Ultra High Refractive Index Aspherical (UA) elements for true to life colours and crisp, high contrast images. The new Digital IXUS model features DIGIC II - Canon's renowned processor ensures that the images recorded have superb resolution and colour quality, as well as giving improved camera performance overall. 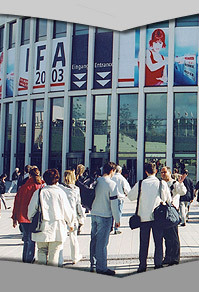 With 9-point AiAF, the camera automatically focus on the subject, even when it is off-centre. iSAPS intelligence ensures that the Digital 750 assess the scene and adjust the settings to achieve the optimum results. Three methods of exposure control can be selected; evaluative, centre-weighted, and spot; and ISO can be set to Auto, 50, 100, 200 or 400. For rapid downloading of images, the Canon IXUS 750 utilise a USB 2.0 Hi-Speed interface. take full advantage of the optional Waterproof Case (WP-DC80) for the Digital IXUS 750. Underwater mode adjusts the white balance specifically for underwater shots, allowing capture of the most authentic colours and minimising any blue cast. My Colors allows the expansion of creativity in digital photography. Special effects such as Color Swap or Custom Color, which allows users to select their preferred colour balance for any given shot, can be performed in-camera and viewed on the LCD while shooting stills and movies. These effects could previously only be achieved using PC software after shooting. Canon IXUS 750 - Intelligent orientation sensor : The Digital IXUS 750 Intelligent Orientation Sensor recognises when the camera is rotated from horizontal to vertical, automatically rotating stored images for correct playback. To help keep the camera level with the horizon and to assist with image composition, users can also opt to display gridlines on their LCD. Other user interface options have been enhanced or added, including the new world time zone display. This allows the user to set home and destination country time zones, as well as animated displays and improved warnings for camera shake. The camera menu can also be displayed in 22 different languages. The Digital IXUS 750 records high quality VGA movies - users can select between VGA and QVGA at 30 or 15 fps. Continuous filming is available until the file size has reached 1GB or 60 minutes - whichever is reached first. A fast frame rate of 60 fps is available, allowing for slow motion playback. Digital zoom can be employed whilst shooting, and for added effect, My Colors may also be used. Compact Movie mode, or QQVGA (160 x 120/15fps), is designed to make sharing movies via email as simple as possible. When used in combination with Canon's new Compact Photo Printer SELPHY CP710 and Canon's Ink and Paper Set (KP-108IP), prints can be produced for just 30 euro cents each. Printing via a SELPHY CP Compact Photo Printer also allows the user to print handy ID prints and movie prints. When connected to the latest range of PictBridge compatible PIXMA printers (also released today) image enhancement is possible with functions including Noise Reduction and Vivid Photo as well as the new Face Brightener feature. Printing of images without having to connect to a PC is made simpler via the Print/Share button, which also acts as an easy upload button for Windows XP and Mac OS X.
Canon IXUS 750 camera - Comprehensive software: The Digital IXUS 750 come bundled with the following Canon Software: ZoomBrowser EX 5.5, PhotoRecord 2.2 (Windows), ImageBrowser 5.5 (Macintosh): For easy image download, storage and retrieval, as well as management of image layout and printing. PhotoStitch 3.1: Creates stunning panoramas and can be used with Windows and Macintosh. Movie Edit Task: For editing and enhancement of movie footage. Also included is PhotoStudio, the photo manipulation software by ArcSoft. Purchasers of both the Digital IXUS 750 and Digital IXUS 750 are eligible for membership of CANON iMAGE GATEWAY , where they can upload images and customise their camera settings. The bundled software supports Windows 98 (SE), ME, 2000 (SP4), XP (SP1/3) and Macintosh OS X v10.2-v10.3. Both cameras support PTP for driverless transfer to supported Windows XP or Macintosh OS X.
Canon Digital IXUS 750 camera - Accessories : The Digital IXUS 750 can be accessorised with a Waterproof Case (WP-DC80), and ACK900 for mains power. Stylish soft cases, befitting each camera's design, are also available (Digital IXUS 750: DCC-70 and SC-DC20). The Digital IXUS 750 is compatible with SD and MMC memory cards. 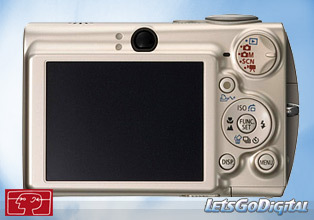 The Digital IXUS 750 comes complete with 32 MB and 16 MB Canon SD cards respectively.